Good afternoon all, I hope everyone is well ? We’re fast approaching our first Familiarisation day of the year on April 22nd, and I wanted to thank you all for signing up to it, and to get some information out about the day. You will find the lake as the 2nd gate on the right on spratsgate lane if approaching from the South on the Spine road, and I’ll put some Red 113 Events Flags up on the gate so it’s easy to spot on the day. Parking will be through the main gate and out onto the grass parking area they have there. Due to the somewhat rubbish spring weather we’ve been having, we’ve felt it was safer for all to change the guided lap of the Swim course to an open Swim in the lake. The water temperature is currently at around 10deg, which although perfectly fine for a normal swim, is blimming cold if you have a big group of swimmers regularly stopping in the water to regroup and waiting around rather than keeping warm constantly swimming. We hope you all understand, and we’ll still have Jason Tait, who’s our resident OW swim coach on hand to answer any questions you might have about open water swimming and race starts. The lake guys have 400meter and 750meter loops marked out, and you’ll be free to do any many or as little laps as you like. We’ll be on hand also to describe how the single 1,900m lap works on the day. The lake is very shallow, and as a result of this is quite a small body of water compared to it’s surface area, so will warm up very quickly when the Spring/Summer does finally arrive. With this in mind, I still fully expect the lake temperature to be around 15-19 deg by race day. We were planning on starting the guided lap at 08:00, but as this is now going to be a free swim in the lake with the swim meters, you are free to start and finish anytime you like before 10am, when we kick off the lap of the bike course. If you did want to swim, as with the guided lap there’s a £5 guest membership charge applied by the lake guys, and this is payable on the gate in cash. The bike and run are ran by us and are, of course, completely free of charge. If you’re not swimming, the please allow yourself time to get parked up and on your bike ready to head out at 10am. We will group together by the cafe at the lake (opposite the gate as you come in) and will head off a few minutes after 10am. As it’s a group ride, we would ask that you don’t ride on your aero bars, although you’re more than welcome to come along on your TT bike or road bike with Aero bars and ride somewhere behind the group. We will have a few regrouping stops on the bike to explain how the police closed crossings on the day, and where the aid stations are etc, and we generally average about 14-15mph. The bike will take around 2hours, and once we’re back at the lake, we’ll have around 15-20minute break to get into our run kit and head out for a lap of the run course, which will be around 12:30. Like the bike course, we’ll have a few regrouping stops, and will run around 10min mile average pace. Myself and the team will lead the bike and run course laps, and will be hand the whole time to answer any questions you might have. 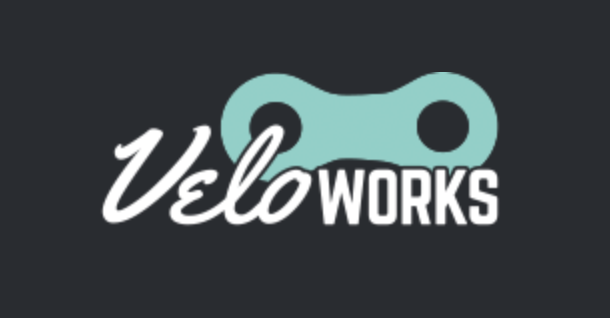 We will have Joe Wood of Veloworks there on the day doing any repairs of servicing you need for your bikes. Joe is a superb bike mechanic, so please get in touch with him if you need anything done to your bike on the day or in advance of the day. Graeme, Nicci and the 113 Events team.